Ko Soo 고수: Ko Soo , "The Marathon Interviews"
Ko Soo , "The Marathon Interviews"
These few weeks before the 'premier' of "Psychic", Ko Soo and Kang Dong Won have made a lot of interviews. There are some that ELSIE can translate, but there are some that she hasn't found the time to translate them. We all understand, now just enjoy the translation she provides for us. 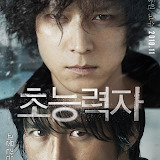 Ko Soo leaves a strong impression with his work though he is not a prolific actor. He is known to be a good looking actor, shy and sincere in his acting. And he is one of those actors who shows energy in his work. During the interview, Ko Soo communicated his thoughts in a calm, sometimes gentle voice. He appears young and ambitious at times. It’s been 12 years since his debut. He likes acting and wants to act continuously. He wants to become a really good actor. Increasing his range/spectrum is what he wants and plans to do in future. He has thought about acting and an actor’s life when he was studying but did not quite understand it at that time. Ko Soo chose to do PSYCHIC because his previous work were all serious roles and he wanted to do something different. He wants to do a movie which the young and old will like. When asked about having rivalry with Kang Dong Won, he laughed and said they do not quarrel on the set. Moreover, they are both of different ‘colours’. As for marriage, Ko Soo says he hears a lot about weddings these days, but work is still better. The situation now is that he is going to work hard as he has a lot of capacity for work. His desire for acting is overflowing and he will not stop now. Ko Soo is 32 now and 32 marks the beginning of an actor’s life. He wants to do various characters in the future. The directors whom he wants very much to work with are Lee Chang Dong and Hong Sang Soo. The writer was surprised at his ambitious reply. His concluding remark was: The sky’s the limit for Ko Soo, the “acting master/expert (고수)” (another wisecrack on his name haha). When asked about his thoughts on people with supernatural powers, Ko Soo thinks the majority of people are interested in ESP. He believes people with supernatural powers do exist. He feels that Kang Dong Won plays the psychic character well. Of course he can play the psychic too and he will look good with curly hair. But it is really Kang Dong Won who fits the role well. Ko Soo was asked this question – is it easier to work with Han Ye Seul (his co-star in WISFC) or Kang Dong Won? His reply was filming with Dong Won is easier as there is this “understanding” between guys. For instance, Dong Won would understand if he is unable to have a meal with him because of certain circumstances. Also, he could change clothes on the set freely and it’s possible to go out for drinks with Dong Won till late at night. He can exchange stories with Dong Won. However, it will be difficult to do these things with a female co-star. GOJIJEON, the movie he is currently shooting, is another “guys” movie. Filming this war movie must surely be tiring, both mentally and physically. But Ko Soo is happy because he enjoys sitting on the street with the crew, drinking and chatting at the end of filming each day. Before one is aware, 10 years have passed. Are there things that are still not overcome? Ko Soo replied that he is still trying to adjust his sleeping and diet routine in view of his filming schedule. He is paying more attention now to having enough sleep and eating well. Ko Soo has distinct features that are typical of a handsome actor. His good-natured smile is his trademark and he is an adored actor to the public, especially to female fans. He is charming and always has a good image. It is this “good” image that he was worried about in the past. He doesn’t want to be stereotyped and wants to appear as various different characters in future work. Unlike other actors, KS has no scandals or bad press. He claims that in terms of “color”, he is almost colorless. So he wants to be many “colors”. A serious actor who does not slack, Ko Soo says he is always ready and prepared for many different roles. Sincere and steady, he wants to be remembered as an actor. Ko Soo is an honest man. His future endeavors are highly anticipated. Ko Soo and Kang Dong Won are “experts” (고수) on life. Kang Dong Won and Ko Soo are famous actors who do not expose their private lives to the public when they are not working. Though they are adored by fans the world over, their daily lives are kept private. The two actors talk about their lives when they are not filming. When asked whether the Internet is good, Ko Soo replied, “It is not possible to serve the net”. The reason is unexpected. “The Internet company has stopped Internet service to my home because of unpaid charges. As I live alone and have to often stay away from home for long periods due to filming in the provinces, this happens. Though I called the Internet company many times and had even written to them, but there was no response from them”. Ko Soo feels that notification by post is still more convenient despite the fact that email is widely used these days. Likewise, making payments directly is still better than paying on-line. There are people who cannot live a day without the Internet, but Ko Soo would rather have a peaceful life. ”Even if I cannot access the Internet, it will not be inconvenient for me as I do not like the Internet and I do not like to watch television”. “I hope the authorities will send proper written notices to those who live alone”, added Ko Soo.